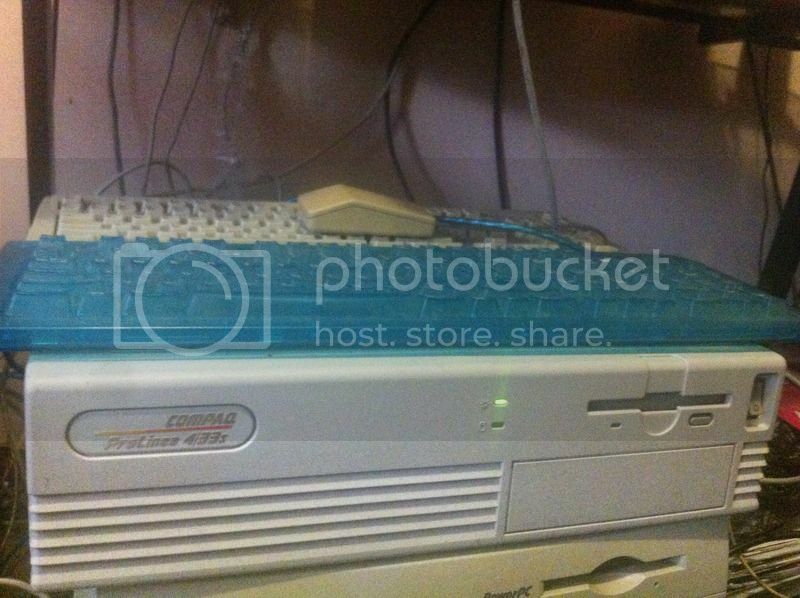 » Schmeaux's Compaq-Staq™ and other less-Appley escapades. Schmeaux's Compaq-Staq™ and other less-Appley escapades. Well, much and all as my claim to fame is having one of the more sizable Mac stacks around, A lesser known fact is that I was nonetheless introduced to computing as a young child in the early 90's with a then entirely acceptable 286 machine with MS-DOS and XTGold, and later, a 386 with DOS and Windows 3... For what it's worth, I was very fond of these early days of computing using the IBM-Compatible platform and a simple character-based OS with Windows as no more than a competent graphical shell. , and it was not until the new century that my disdain for the unstable and bloated behemoth that was now Windows began to fester. During these years my father had a couple of Compaq machines come in and out of his posession for repairs and setup (at that stage he was working at the towns first local ISP which he had helped set up shortly beforehand), and he also owned a couple himself, which he did like but was critical of the large amount of proprietry componentry that was unique to Compaq. I came to like them a lot over the years, as they were sturdy, reliable, and much nicer to look at than my white box generic trash IBM-clone tower was. 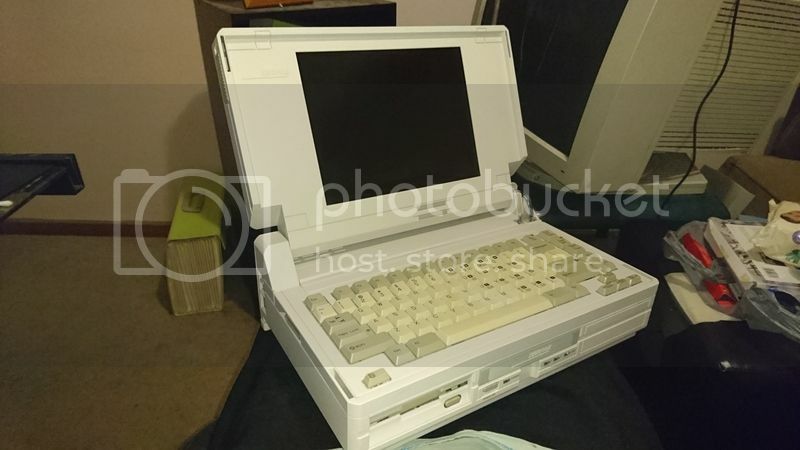 I came to be somewhat of an afficonado of pre-586 era Compaq machinery, as they were all up just very nice, good quality, well-finished machines. 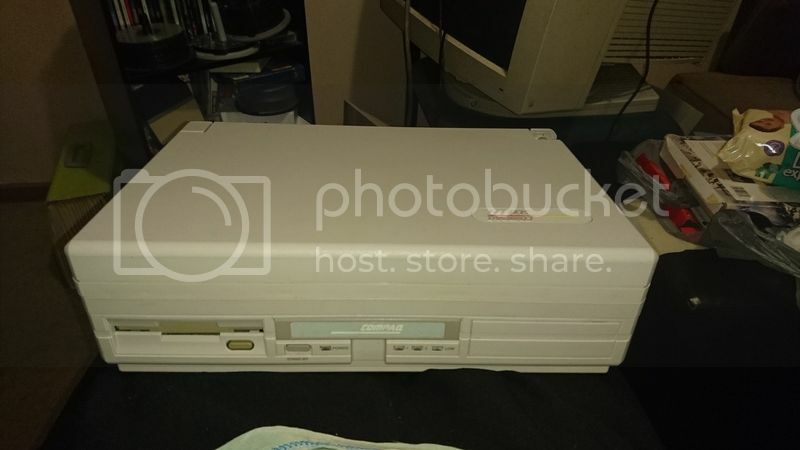 Over the years I have taken it upon myself to collect a few of these awsome old machines from a time when Compaq did actually represent quality, before its market share dwindled, it was merged with HP, and then the name was used for the cheap consumer-grade packages marketed by that company. 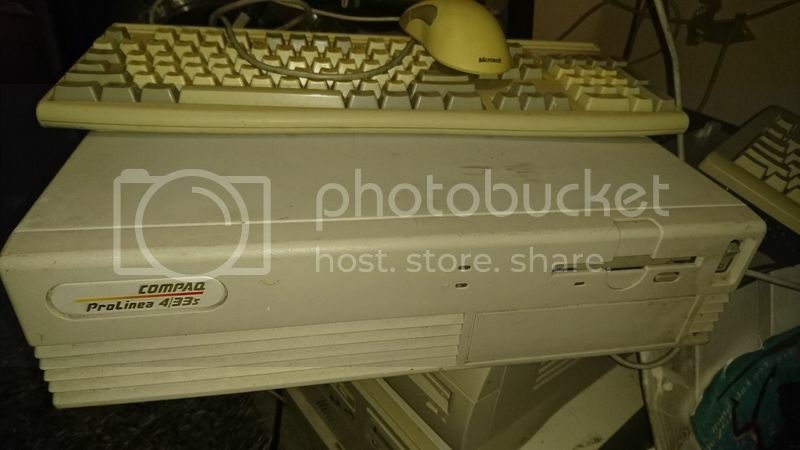 I have also found myself holding onto most of my old PC's, collecting a few non-IBM PC's, and even specifically building some ancient-tech machines for specific purposes. Basically this thread is for all of these things. But t came up pretty respectably after a good wipe down. 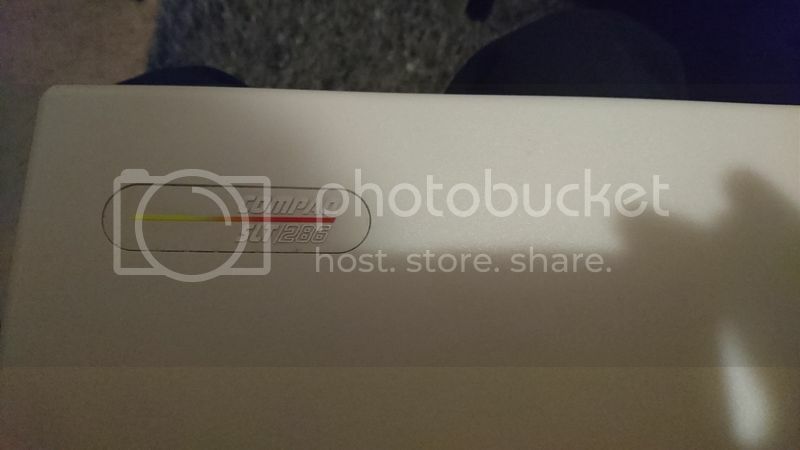 I had to get a bit creative with some Macintosh DB15-VGA adapters though to accomodate the 14-pin VGA port on the back of the Prolinea... same pinouts as a 15-pin but minus one, which meant my 15-pin SVGA CRT's plug wouldnt go in because the female plug on the logic board has the unused pinout left undrilled. Go figure lol. Not bad for a machine that hasnt seen the light of day for about 12 years... As I have an almost baron HDD to install things on, I am going to source some games and productivity software from my archives to install on it and have me some fun. Re: Schmeaux's Compaq-Staq™ and other less-Appley escapades. Another one I've had for about 13 years is this SLT/286 portable dating from around 1988-89. 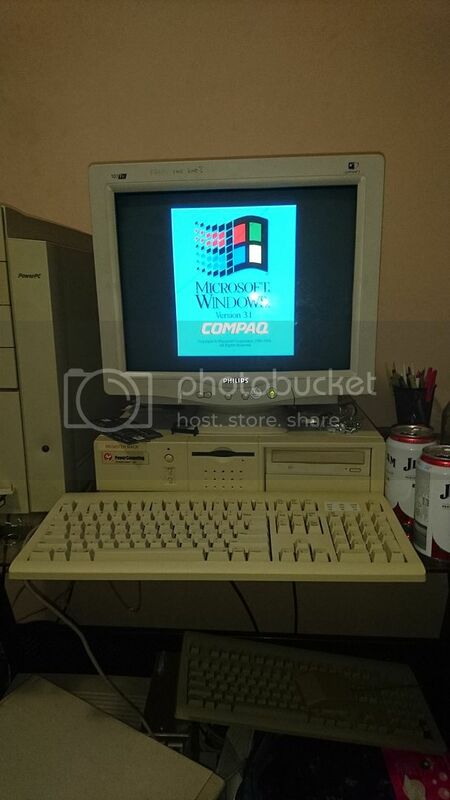 This machine had Win 3.0 installed, and I used to use it to back in my days as a teenager to mess around in QBasic when I was still interested in programming as a hobby. When I most recently powered it on, it failed to boot, presumably due to a flat battery creating a BIOS configuration error, which I need to create a setup disk in order to access the BIOS utility. However before I got to do this, the machine tripped the RCD, which leads me to beleive a filter capacitor in the PSU may have failed. Once I resolve this issue, I willl move on to diagnosing the configuration problem. But yes, this really is a funky little machine for its time... definitely one of my more interesting collected items. Wow... that thing is literally a bricktop. It really is by modern standards... though I guess as one of the very first battery operable portables, it is nonetheless quite compact by comparison to the various "luggable" desktops of just a couple of years prior that were considered a portable. And surprisingly it is not stupendously heavy... it's ulky but can quite comfortably sit on your lap. That said, the keyboard is actually able to be taken out of its station and the machine used as a portable desktop, as it is unpluggable and attached via a curlycord stowed neatly in a cavity underneath. 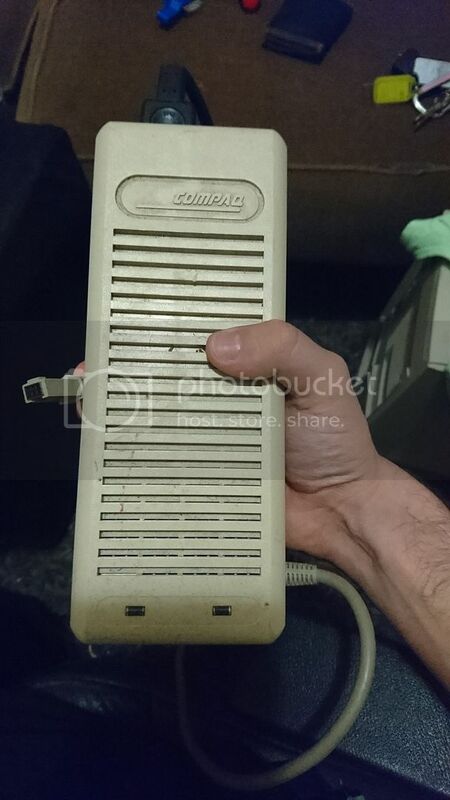 Speaking of old Compaq's, I need a power supply for a Deskpro 8088. 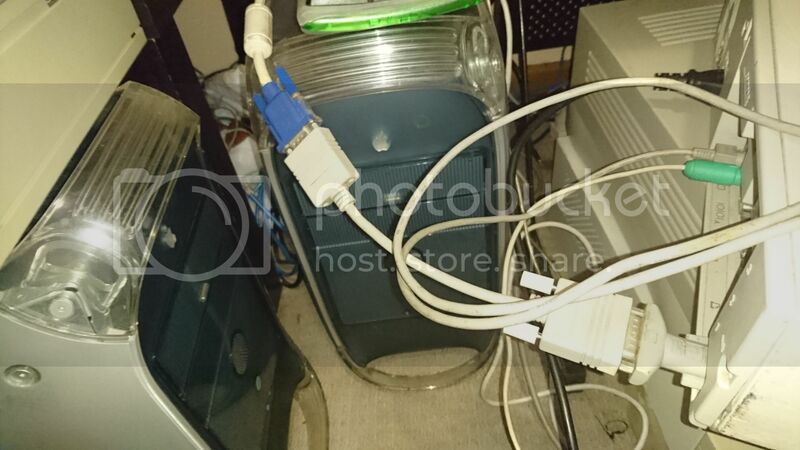 It uses a ribbon-cable connector to the logic board instead of the later Molex-style connectors. One of those early Compaq proprietary things that made me not like them back in the day. This is a favor for a friend; any leads appreciated. I love the Compaq SLT. (The one you *really* want is the seems-to-be-rarer 386sx version.) One thing to keep in mind just looking at a picture of it is it's sort of hard to scale it correctly if you're used to the proportions of modern laptops; it's hugely fat but in *footprint* it's actually a bit smaller than most modern laptops. That screen is only, what, nine inches? The removable keyboard which *could* also be used stowed made them an interesting compromise between an at-the-time usually seriously underpowered notebook and the earlier "lunchbox" portables. 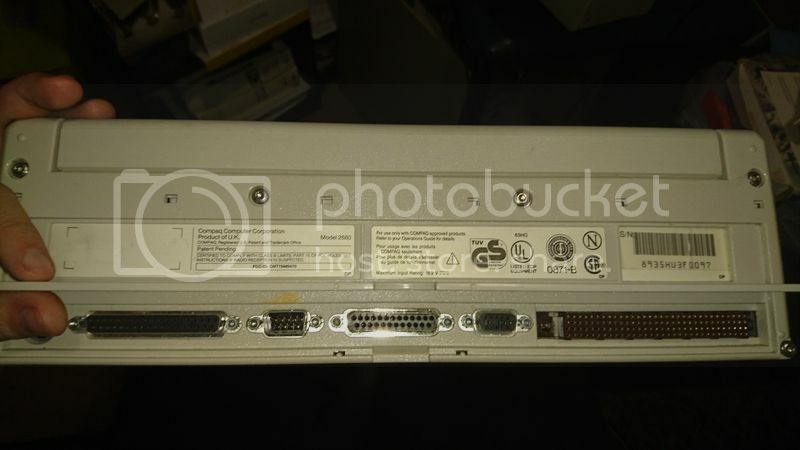 I have a Network General Sniffer which is really a rebadged Compaq Portable 486c. I love the fact it has actual, real, card slots. Yeh the SLT is actually a very compact and yet rather capable and well designed portable for its era.... It does have a 9" screen and in footprint it probably is actually smaller than my Pismo by a fair margin. And yeh, the keyboard that can be used stowed or seperate is a great design feature that allows it to be as functional ergonomically on your lap as on a desk... It'd be an ergonomic nightmare using it on a desk with it being nearly 3 inches above the surface, however it is unbeleivably comfortable to use on your lap, and far less awkward than if you had to use the keyboard as a seperate unit. It really is a true pportable in a way that many before it couldnt be considered as such.